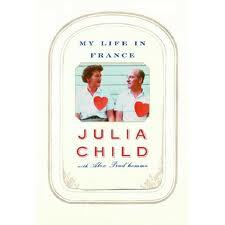 Home › Books / Media › Happy Birthday, Julia Child! The Classic Chef Remixed! 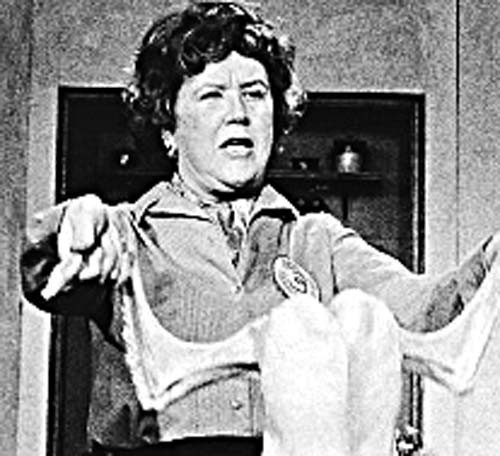 Time to rock out with Julia Child! First of all, happy birthday Julia! 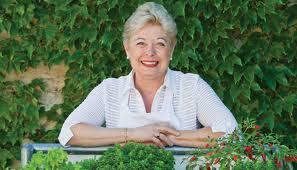 This iconic chef is celebrating a birthday today, and her big smile and great food will certainly always be missed! So let’s sing a song to her – with Led Zeppelin’s help! So Let’s Celebrate Julia Just A Bit More! Julia wrote a great memoir that details her life in the kitchen, and her time in the bathtub with her husband! My Life In France – Julia Child and Alex Prud’Homme. 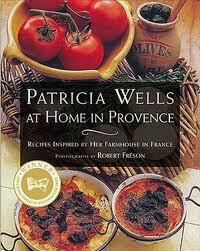 Here is her classic book about her life in France, which led to her becoming America’s greatest cooking personality. Julia Child single-handedly created a new approach to American cuisine with her cookbook “Mastering the Art of French Cooking” and her television show “The French Chef”, but as she reveals in this bestselling memoir, she was not always a master chef. Indeed, when she first arrived in France in 1948 with her husband, Paul, who was to work for the USIS, she spoke no French and knew nothing about the country itself. 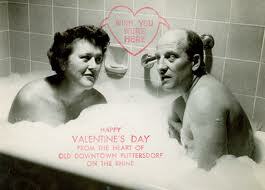 But even before she could cook, Julia knew how to shock – just look at this Valentine’s Day card she sent out one year! I had the chance to actually cook on her stove…thanks to Patricia Wells! 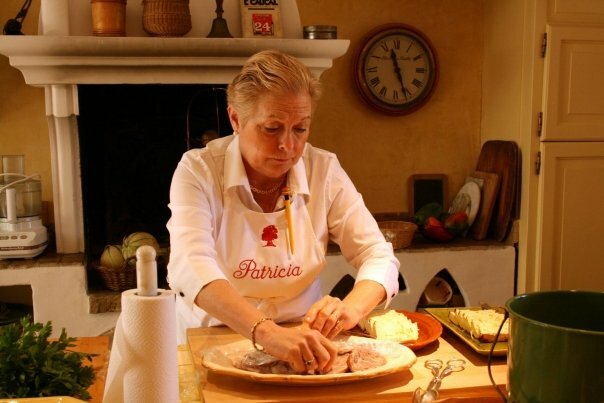 Patricia and Walter own a home in Provence, which they open up several weeks a year for a cooking class – one that Alex and I were able to attend in 2009. 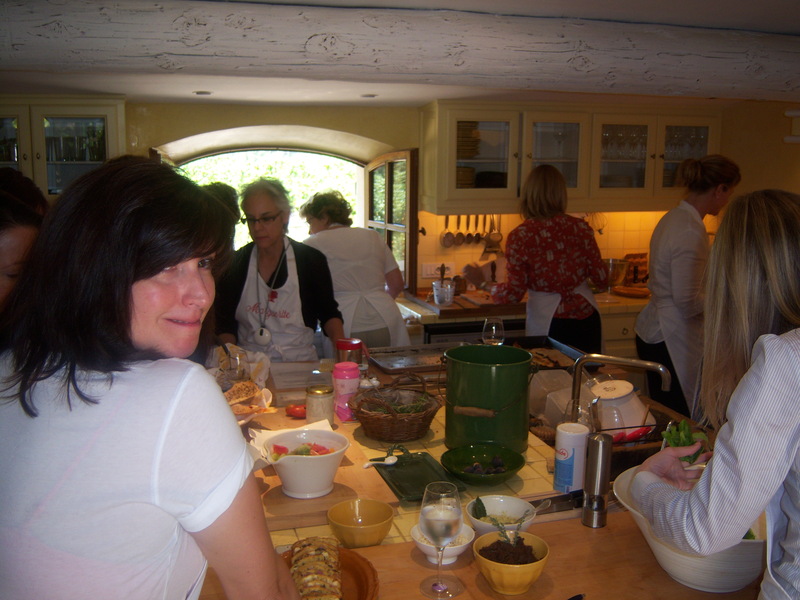 PATRICIA WELLS COOKING CLASS IN HER KITCHEN! After cooking together, you eat the food in a group setting – here we are on the veranda enjoying lunch together – a wonderful way to savor the hard work that went into the meal. Look at how beautiful this dish is, made with eggplants you harvest from Patricia’s garden! The medieval streets of Vaison la Romaine were so much fun to wander…. As you can tell, we loved it! 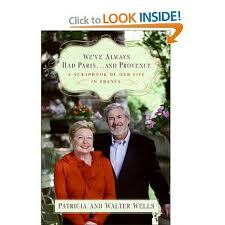 Even if you can’t cook with Patricia, pick up one of her many cookbooks – and read her memoir with Walter – and live the provencal life! And click the story below to read all about our cooking adventure with Patricia! Yes! I can give you lots of details! 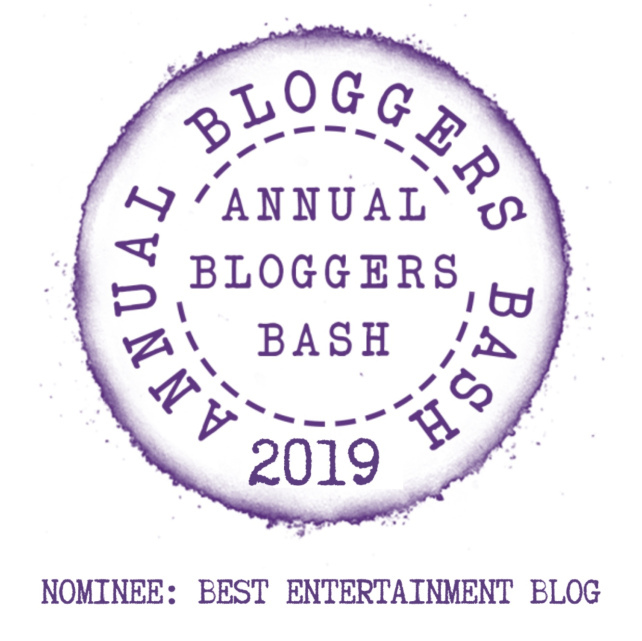 John, love reading this blog and want to contact you… you have an email? Wine, Roman Ruins and Gigondas, Too! Whiskey Babys and A Few Papes! Touring Provence Thanks To Patricia Wells! 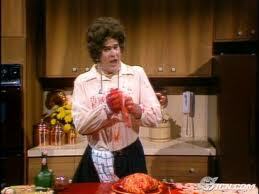 Happy Birthday, Julia Child! The Chef’s Musical Remix! « Bite Eat Swallow!